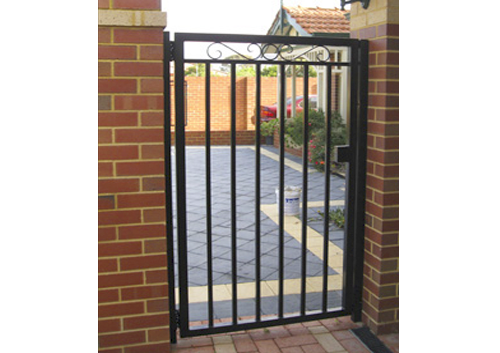 Aus-secure is the name you can trust when looking online for Security Gates Perth residents recommend. 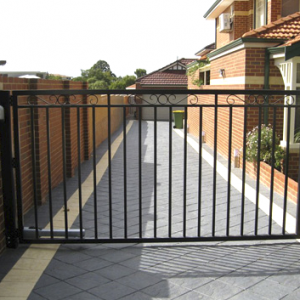 Driveway gates and pedestrian gates not only enhance the look and appeal of your property, but most importantly, protect your most valuable assets. 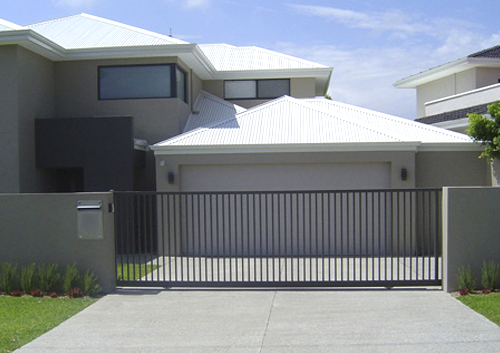 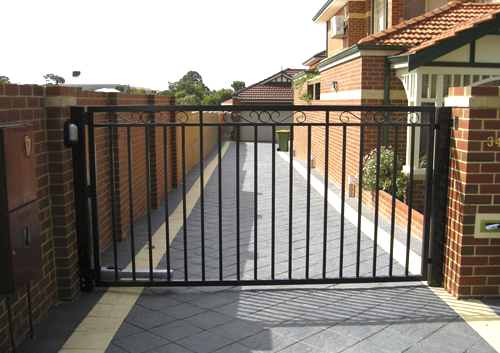 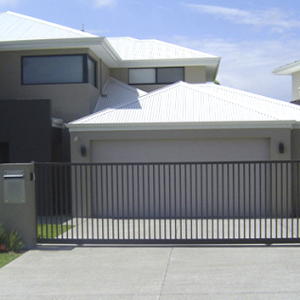 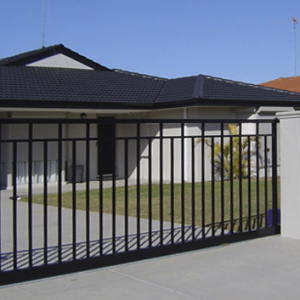 With the help of experienced and skilled installers from Aus-Secure, you can keep your family and employees in Perth Metro and Mandurah areas safe from harm with our residential and commercial security gates. 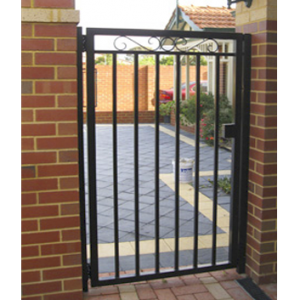 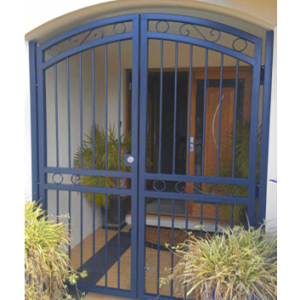 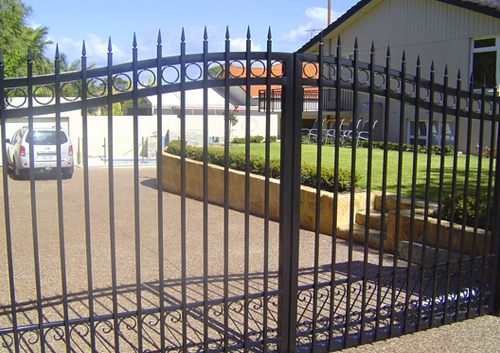 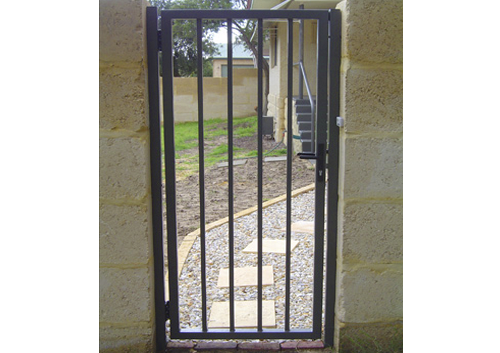 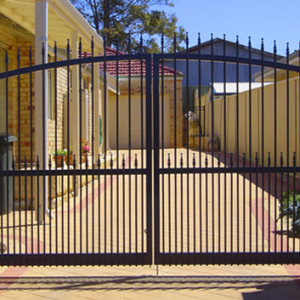 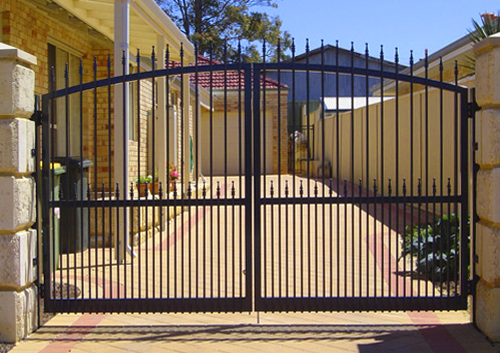 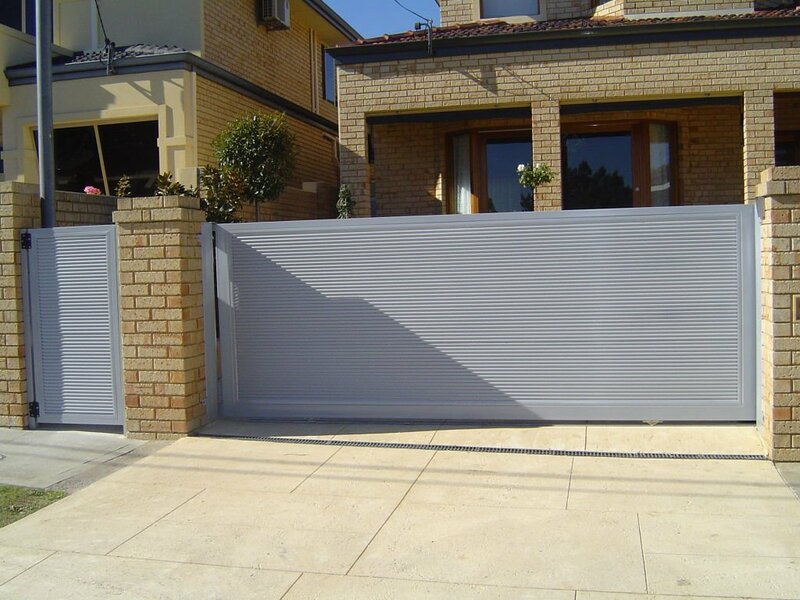 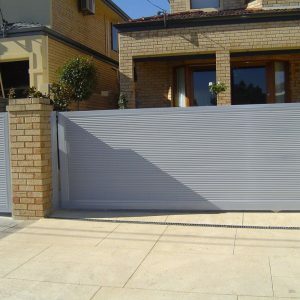 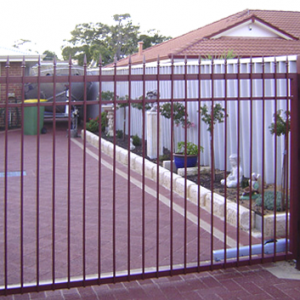 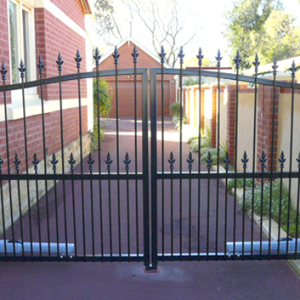 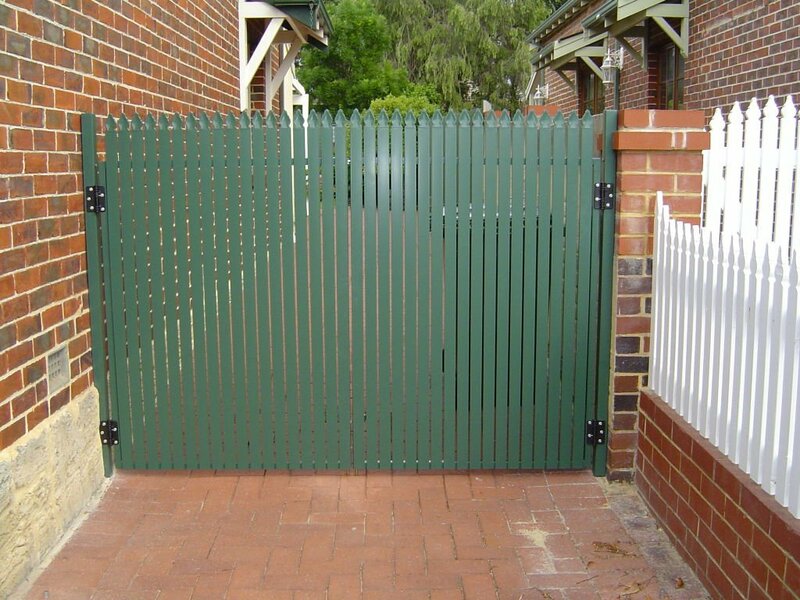 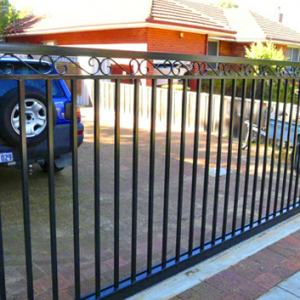 Aus-Secure specialises in custom security gates Perth homeowners trust. 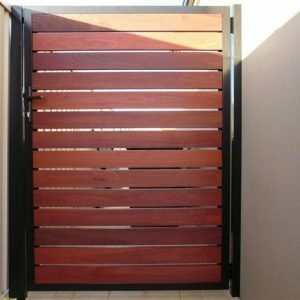 We will measure and manufacture-to-order for your specific needs and style preferences, especially for the Perth market. 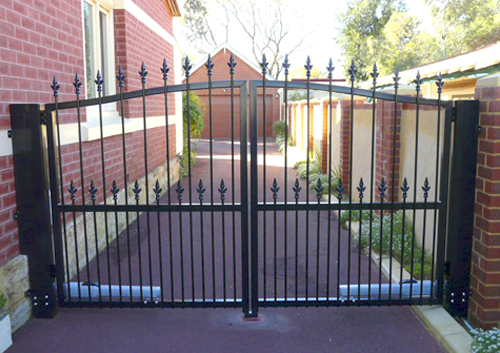 Aus-Secure specialises in custom security gates Perth, made-to-order for your specific needs and style preferences. 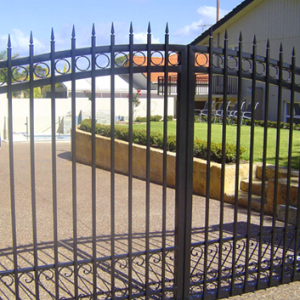 From small pedestrian and hinged driveway gates to large pool regulation and 6-metre sliding gates, we have your security requirements covered. 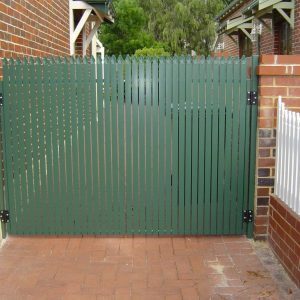 With over 30 years’ experience and competitive rates, we are sure you will be pleased to have stylish and reliable security gates Perth residents and business owners have come to love. 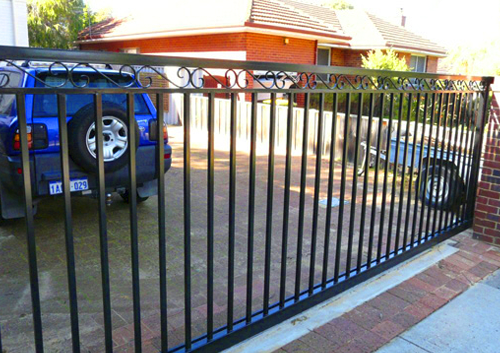 Please click on the links provided below for more information about our various design options. 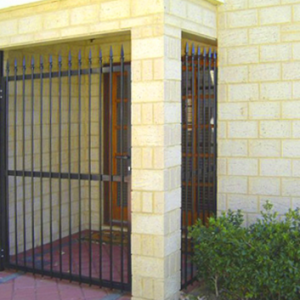 Whatever security gate you may require for your Perth home or business, Aus-secure will have the ideal solution for you. 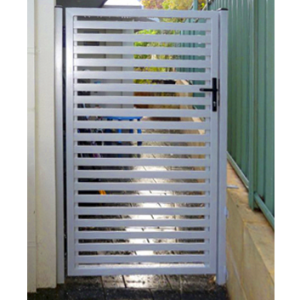 Aside from enhancing the security at your home or business, our Perth security gates are designed to increase your property’s value. 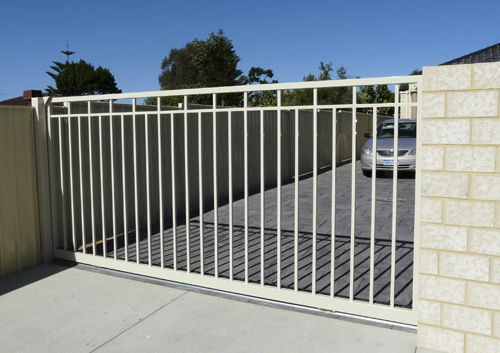 All of our made-to-measure security gates are finished in the latest contemporary colours and powder coated onsite in our modern facility. 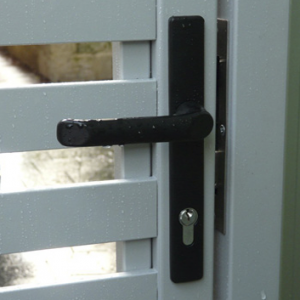 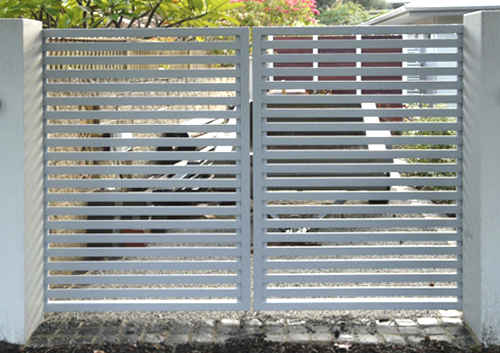 Our aluminium slat gates either come in a powder coated finish or a timber finish that looks like real timber. 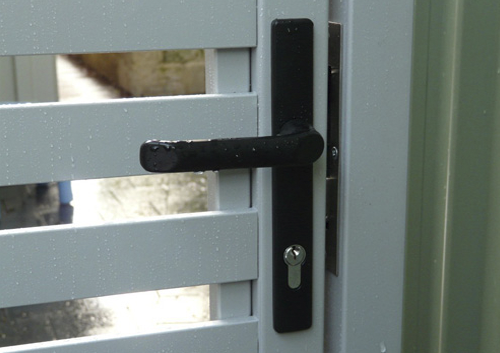 Aluminium with a timber-like appearance has no maintenance and the strength of alloy, unlike real wood. 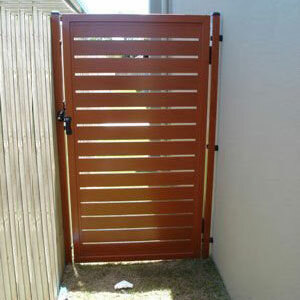 This also means that you can still have a security gate that goes perfectly with the style and design of your fence. 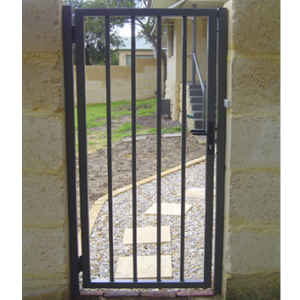 Aus-secure security gates can also be motorised for automatic opening. 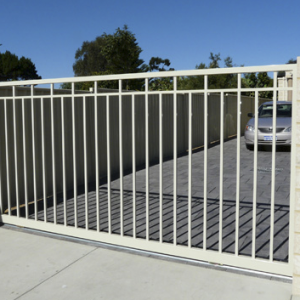 We specialise in automatic sliding gates and hinged automatic gates for domestic and commercial premises in the Perth Metro and Mandurah areas. 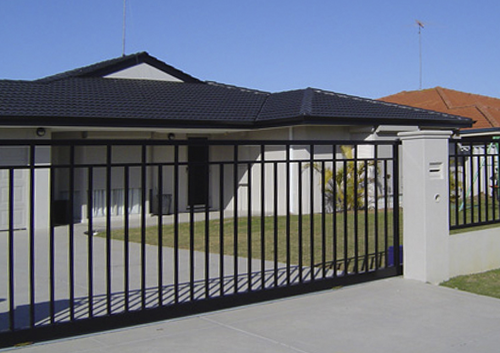 For your peace of mind, all electrical work is done in-house by the Aus-Secure team without the need to deal with several contractors. 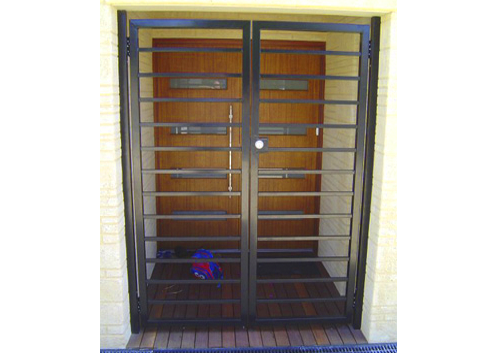 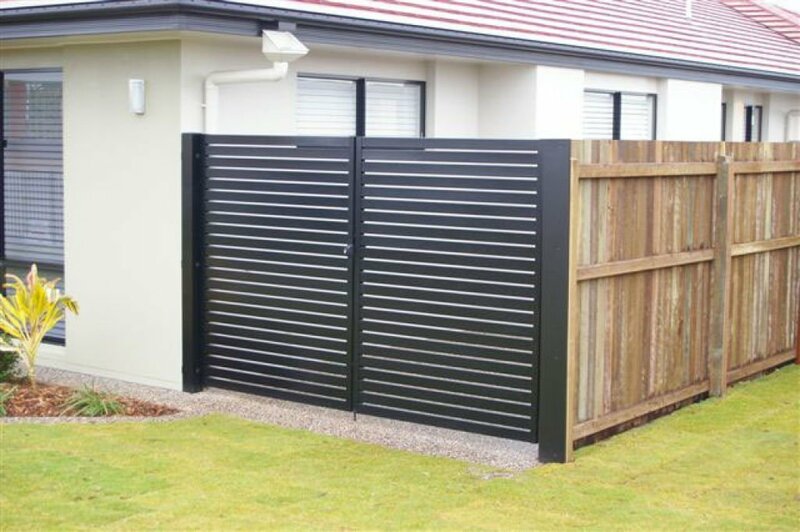 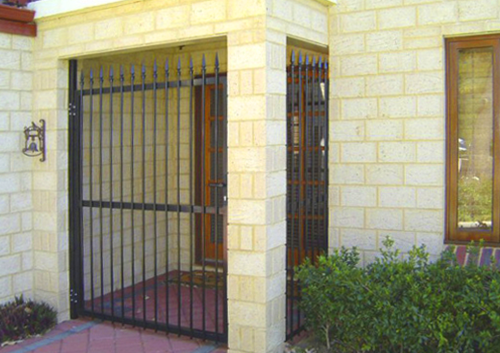 Whatever security gate you may require for your Perth home or business, we will come up with the ideal solution for you. 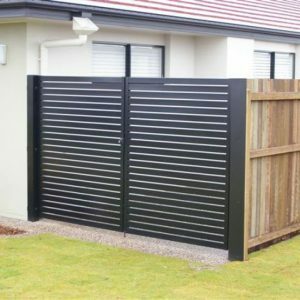 We understand that every client has unique and individual security needs. 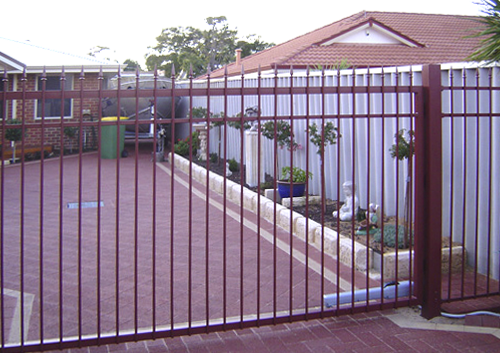 That is why all our affordable security gates are custom-made to fit your specific requirements. 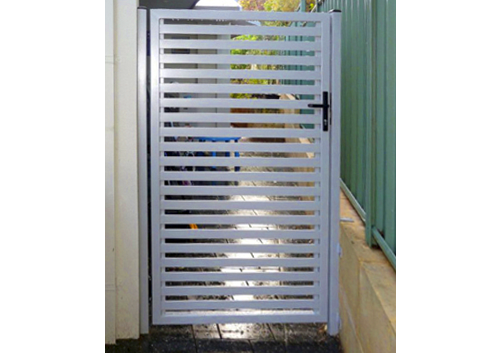 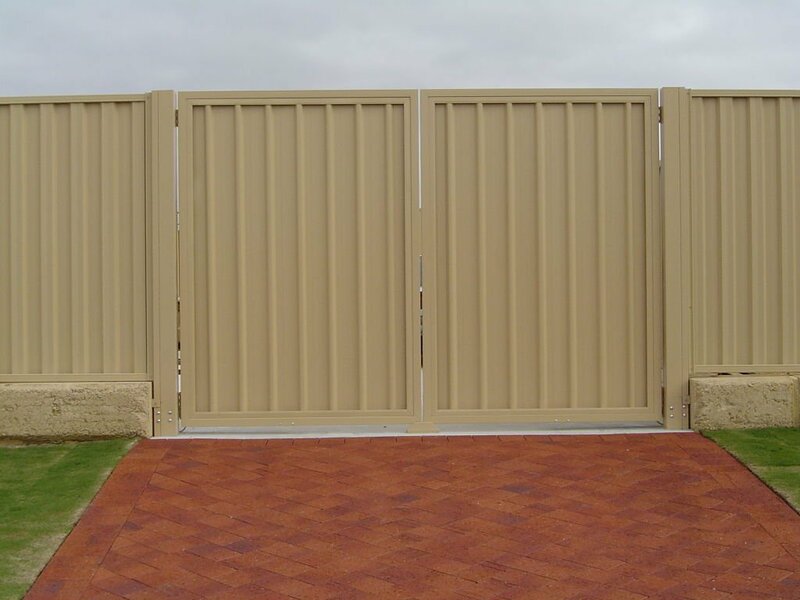 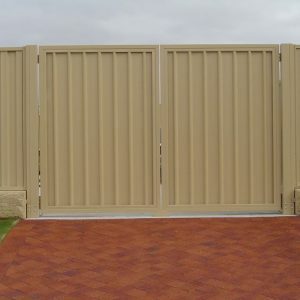 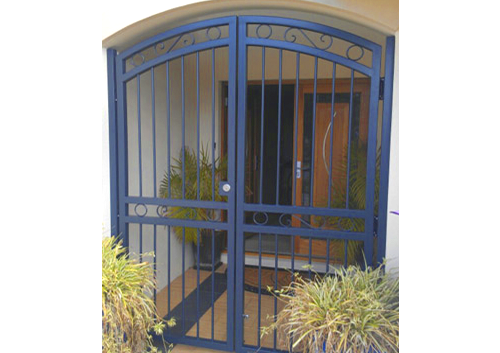 Aside from enhancing the security at your home or business in Perth Metro and Mandurah, our security gates are designed to increase your property’s value. 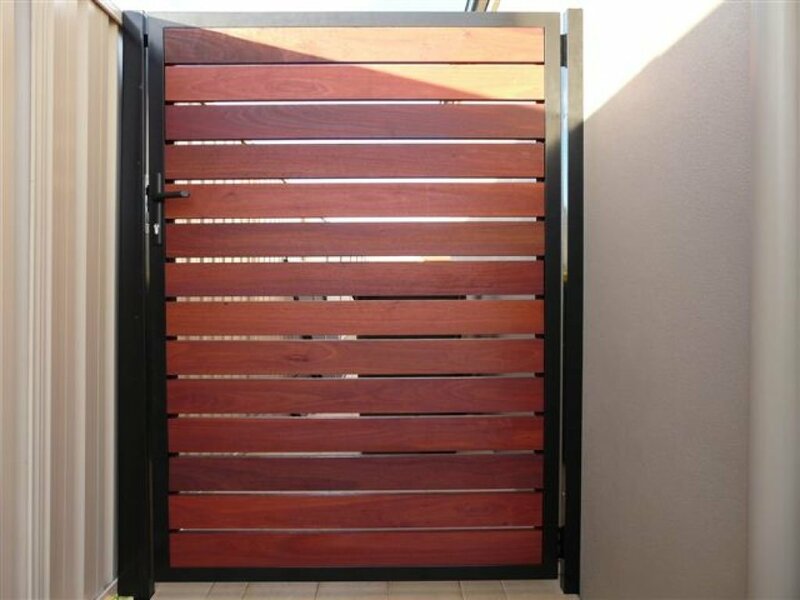 All of our made-to-measure security gates are finished in the latest contemporary colours and powder coated onsite in our modern facility. 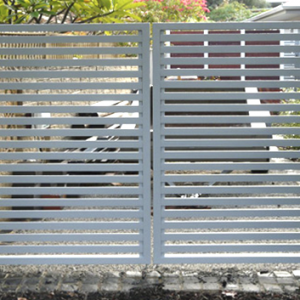 Our aluminium slatted gates either come in a powder coated finish or a timber finish that looks like real timber. 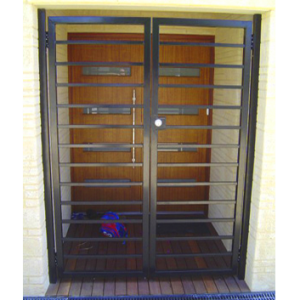 Aluminium with a timber-like appearance has no maintenance and the strength of alloy, unlike real wood.